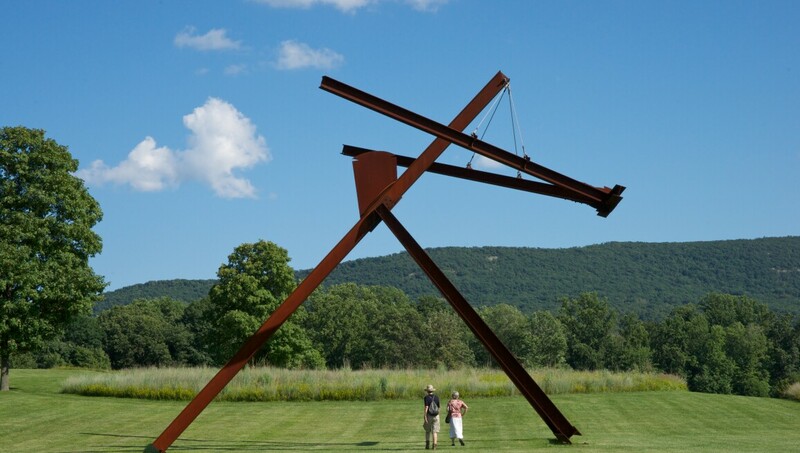 Widely celebrated as one of the world’s leading sculpture parks, Storm King Art Center has welcomed visitors from across the globe for more than 50 years. Located about a one-hour drive north of New York City in the Hudson Valley, Storm King’s exquisite 500-acre landscape provides the setting for a collection of more than 100 carefully sited sculptures, created by some of the most acclaimed artists of our time. These works span the years from postwar to the present and include commissioned site-specific works, all set against the backdrop of the Storm King and Schunnemunk Mountains. With its verdant fields, rolling hills, and woodlands, Storm King offers a unique and memorable experience with every visit, as changing light and weather conditions transform both the grounds and the sculptures. Artists whose work is on permanent view include Alexander Calder, Mark di Suvero, Andy Goldsworthy, Maya Lin, Louise Nevelson, Isamu Noguchi, Nam June Paik, Richard Serra, David Smith, Ursula von Rydingsvard and Zhang Huan. Lent by the artist and Spacetime C.C., New York. Closed Dec.-1st Wed. of Apr.